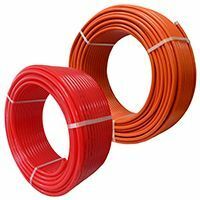 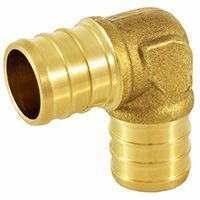 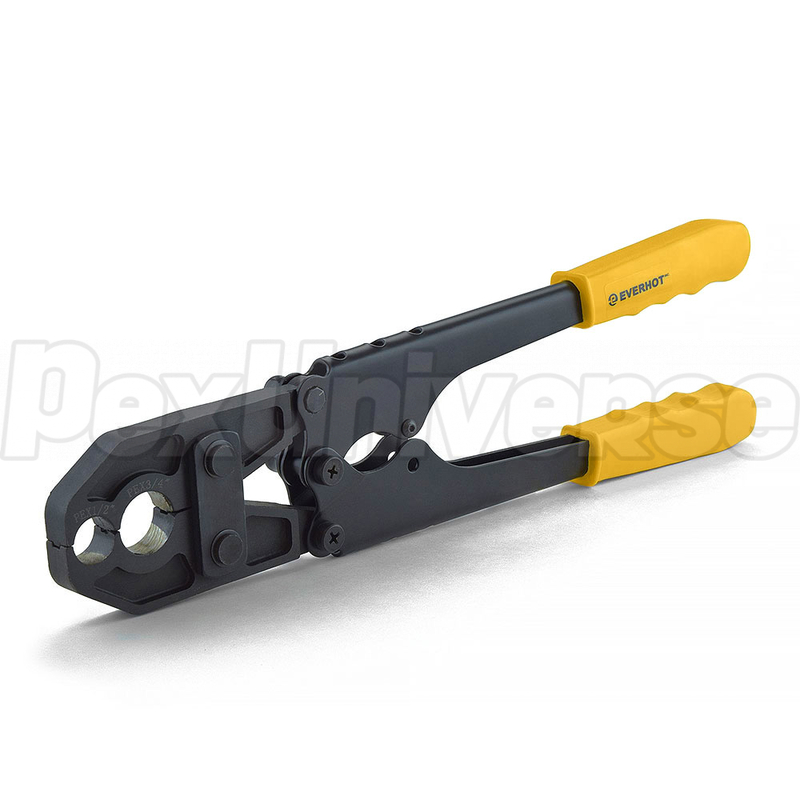 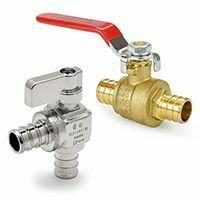 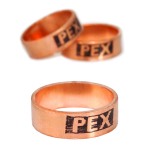 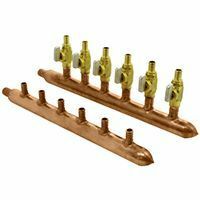 A 2-in-1 PEX Crimp Tool for 1/2" and 3/4" PEX tubing, fittings (brass or poly) and copper crimp rings. 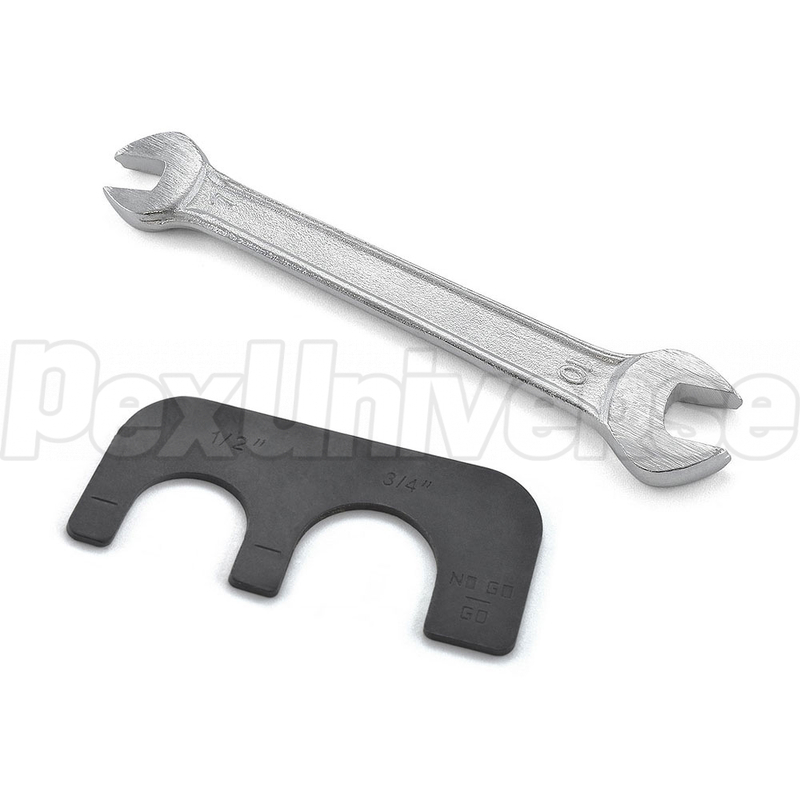 Includes a Go-No-Go gauge for 1/2" and 3/4" sizes and a crescent wrench for tool calibration purposes. 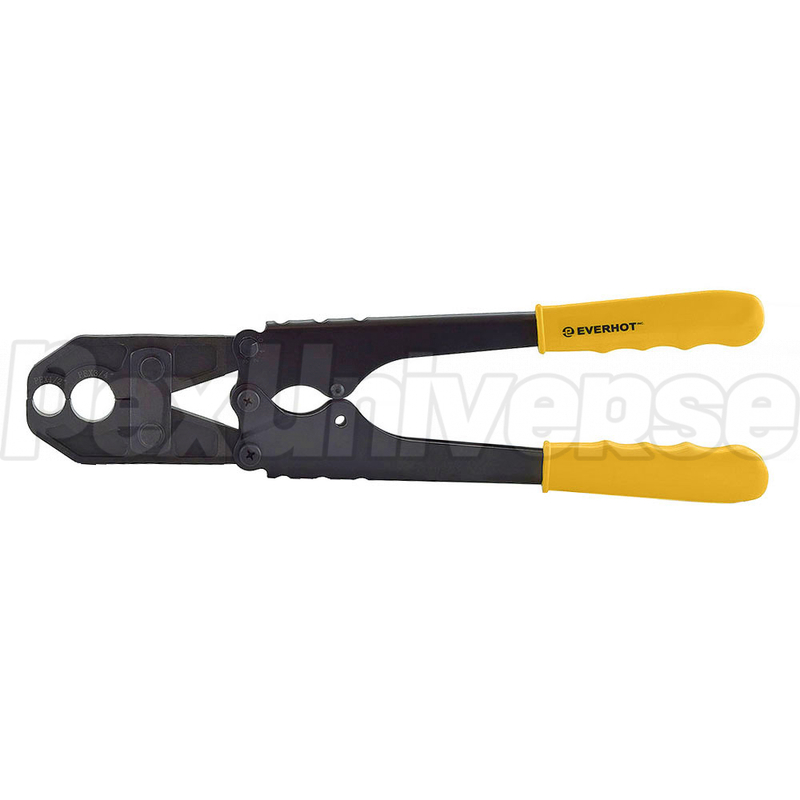 Solid, heavy-duty construction with ergonomic rubber grip handles. 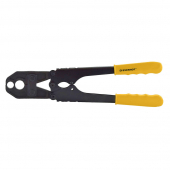 Overall length is 15.5"